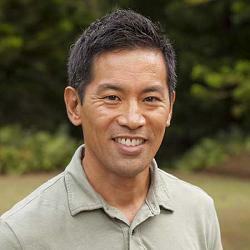 Dr. Okamoto earned is doctorate from the University of Hawaii at Manoa. He also earned his MSW degree from San Jose State University. Dr. Okamoto currently serves as principal investigator for research titled “Ecological Factors and Drug Use of Native Hawaiian Youth.” Dr. Okamoto also published articles in numerous academic journals.